He also sang a lot of other songs and danced! It's amazing how he was able to practice all those despite the hectic sched. When we look at the drawing of the episode 15, we see a huge hourglass standing between our protagonists CSH and KJH. 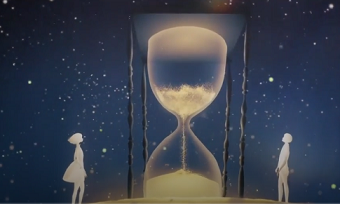 Both are looking at the sandglass and seem to feel so little and powerless, especially because they are both much smaller compared to the hourglass. Moreover CSH and KJH are quite passive, they just stand and do nothing else than looking at the sandglass. Since the latter symbolizes the time, the viewer might wonder why the director chose this drawing. In this episode, CSH will break up with her boyfriend. So why does time seem to be the main topic of this episode based on this drawing and not the break up as such? The answer is quite simple. The writer and the director used different means in order to show the importance of time. "Once time passes, it will all quiet down." "He will forget about everything with time"
Then teacher Lee advises to KJH: "Let's just wait a while longer". 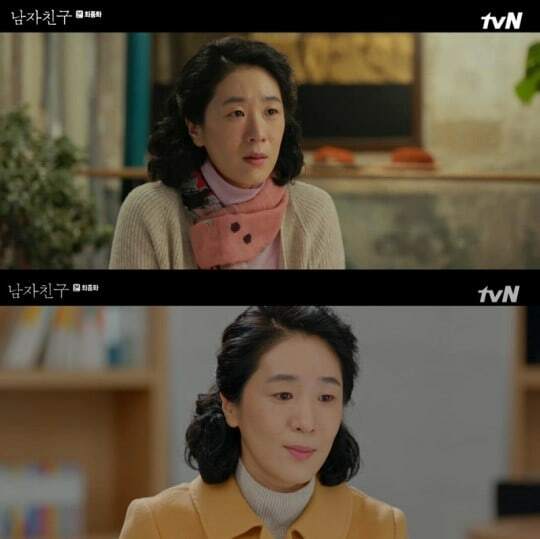 She explains that CSH just needs time, just like KJH declares the same to CSH hoping that she would reconsider the break up: his mother just needs time. Furthermore while father Kim criticizes his wife, he tells her that their son withstood hard times for them therefore they need to support him as well. CSH hopes while walking on the bridge that in time he will be able to understand her. Then driver Nam advices CSH to reconsider it as well with the point: "It's no time to think about it". At the end, when KJH is about to give up, he confesses to Mrs Lee that it is time for him to let her go as well. As you can see, the break up is associated to time. Moreover, time is also shown with the staging. We have CSH who wanted to break up at the end of their wonderful date but she couldn't because KJH offered her the camera case. CSH realized that she needed to wait for the right time. She got aware that timing was as important as the way to break up. 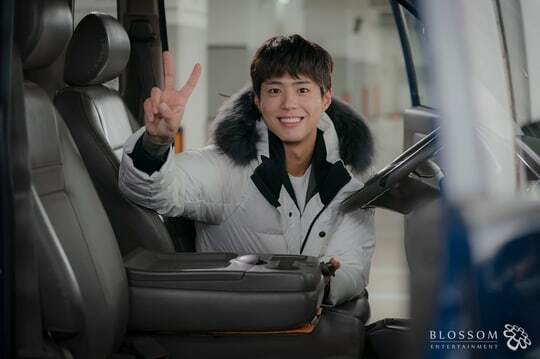 Besides, we have KJH who missed his bus at the end of the episode 15 which lets driver Nam see how KJH is affected by the break up. Then memories are so often mentioned as well and memories are connected to time as well. Memories represent events or moments in the past. For KJH's mother, the break up will become a memory and at some point, it won't affect her son any longer. He will be able to marry and have children. And the good memories of their relationship are the reason why KJH changes his mind in the last minute. The time spent with her is so precious to him and now we can link this to The Little Prince: "It's the time you spent on your rose that makes your rose so important.” Thanks to these good memories he is able to remember his promise: to endure pain and overcome the hurdle due to the good memories. That's why he changes his mind in the last moment and decides to visit CSH's office. So while time was the main cause for the break up (CSH, KJH's mother), time is the reason why KJH decides not to let her go and why he is as determined as before to remain by her side. This explains why at the end the hourglass disappears, time is no longer what separates them because KJH is determined to make her change her mind. He will no longer remain inactive and passive like in the beginning. The break up was symbolized in the drawing by the separation. 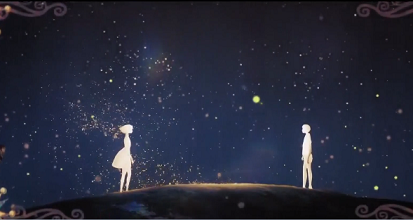 Our protagonists were not next to each other, they were separated by the sandglass. Yet, as time had passed on, the hourglass suddenly disappeared. The full ost is now out on iTunes. The particular instrumental piece is called Every Breath, and is my favourite too. That scene of Soohyun climbing the steps with the flashbacks to her visit to Teacher Lee’s...amazingly cinematic with this sweet track accompanying her. Kyo is looking absolutely gorgeous. Encounter (also known as Boyfriend), the popular romantic K-drama that was airing on the Total Variety Network (tvN), recently aired its penultimate and final episodes. It ended similarly to the typical trope of other romance K-dramas, which in turn, resulted in high viewership. WARNING: Spoilers ahead! Skip to the first paragraph after the second video to avoid! Even though Encounter played to the typical tropes reminiscent of romance K-dramas, how it was executed was well-done. In the course of two episodes, Cha Soo Hyun (Song Hye-Kyo) and Kim Jin-Hyuk (Park Bo-Gum) breakup and end up together again all within the series’ real time. This means there wasn’t any time jump between the two. Having two significant moments in Cha Soo-Hyun and Kim Jin-Hyuk’s relationship happen back-to-back would have resulted in rushed writing, but instead, it was produced and directed to actually fit. The breakup happens in the penultimate episode in which Soo-Hyun breaks up with Jin-Hyuk as she cannot bear dragging her boyfriend and his family through the media circus pertaining to her family. Jin-Hyuk clearly shows how upset he is resulting in some of Park Bo-Gum’s best acting. Park Bo-Gum did an amazing job showing his character’s sadness and anguish after a breakup. 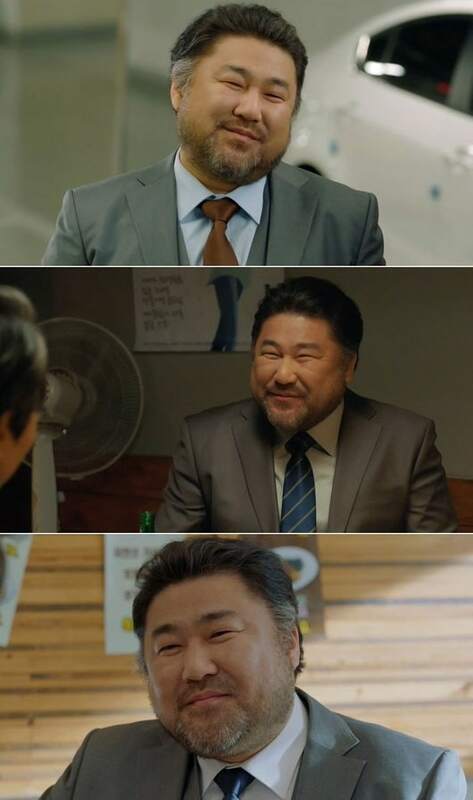 In the final episode, Kim Jin-Hyuk does all he can to win back Cha Soo-Hyun saying that Soo-Hyun can “break up with him” but he won’t “break up with her” and that he’ll keep his promise to protect her. Eventually, Cha Soo-Hyun realizes that she is happiest being with Kim Jin-Hyuk and comes back to him. One year later, both Soo-Hyun and Jin-Hyuk are going strong, eating out at restaurants, spending time together, and at that point, discussing marriage. Cha Soo-Hyun and Kim Jin-Hyuk are still going strong after one year. This time, Jin-Hyuk is even thinking about marriage. Most K-drama fans are happy that Encounter ended the way it did (happily ever after). As for tvN, they are happy too as the K-drama ended on a high note both domestically and internationally. 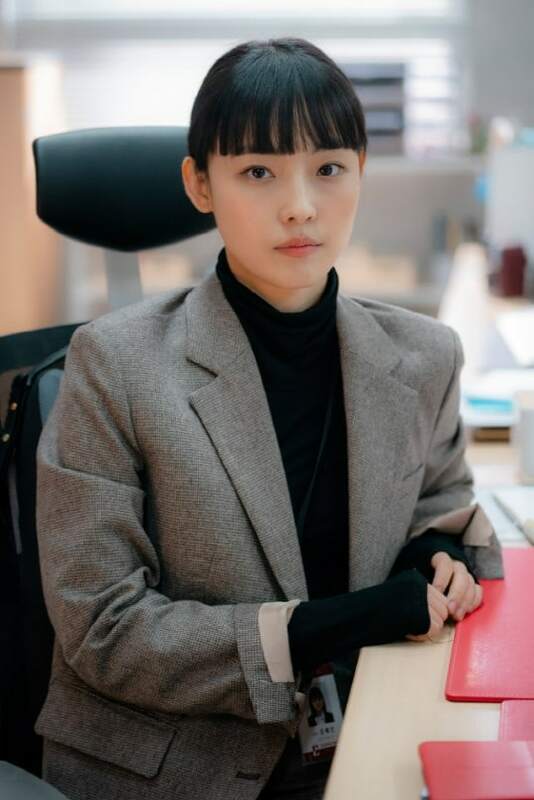 According to the viewership ratings provided by AGB Nielsen Korea, the final episode earned 11.161 percent viewership for Seoul and 8.678 percent for Korea. The series on average was 10.704 percent for Seoul and 8.475 percent for Korea. Once again, tvN is a Korean cable (pay) network so viewership would relatively be lower than free-to-watch networks like SBS, KBS, or MBC. Anything scoring over two percent is considered good and the fact this K-drama hit double-digit viewership for Seoul means it was a major success. Internationally, Encounter did very well at least in the Americas. Exclusive to streaming site Rakuten Viki, it is the second most-popular/trending K-drama. The only K-drama to be more popular/trending is Thirty But Seventeen. What is next now that Encounter has concluded? Since Encounter just recently concluded, we have no news on what the cast and crew will be doing next. As for the time slot, it will be occupied by upcoming tvN K-drama Touch Your Heart. Even though the K-drama has yet to air, it is already getting plenty of attention among fans as it reunites Goblin co-stars Yoo In-Na and Lee Dong-Wook. May i add also that in one episode SH said that its " the right timing" that is preventing her to let JH enter her life ( i think its when they agreed to some relationship. I missed 2 important details in ep 16. When Jh entered Sh office telling her he won't break up, what is seen in the mirror is Jh, the whole of Jh. Before we can only see Sh, mostly her side profile. And the green plant Jh gave to her when the cuban chaos came out is still there at her table. Im little confused at the time frame between there break up and make up. At the scene when sec. Jang told Sh abt the red box brought by JH , they were talking abt the meal of the orchestra at new year's event. If both the break up and make up happened around march or april, i dont think they'll be discussing about new year. The snow fall ... it usually happens around december. That " one year later"... does it really mean one whole year has passed or it just means the next year or the following year. I googled the hangul written, and it really means one year later. I don't think we can hear or see something about adlibs of bogum to shk...even bts of her are limited, usually on the safe side. I understand , she will only be bashed. Who's able to move on? they were talking﻿ abt the meal﻿ of the orchestra at new year's event. I have to rewatch this.. were they discussing new year? Even korean new year is early feb.. so it can't be new year. They showed clips of Jin Hyuk drunk scene at the fan meeting. I hope we can have English translation of what Park Bo Gum said. They also showed him roaming around Cuba. Highest rated cable romance/melodrama? That’s great! There you go. I was waiting for this analyses bout epi 15. Thank you! Now rhta makes more sense. Since before CSH decided she’ll be with some relationship wirh JH, she told Sec Jang that she was so frustrated with the “timing” of everything. You know whats so amazing about their love? I have always thought, if there’s one thing greater than love, it’s TIME. Timing is everything. CSH and KJH showed that their love did not only defied gaps with age, social status, financial status but also, time. I am so in love with this drama. It’s crazy how a really simple story makes me this hooked. I agree and it makes me really sad about all of it. I think thats also the reason why they didn’t follow the original plot about CSH having a kid in this drama. As I said, the story hits so close to home for SHK. chingu, lets watch it from episode 1! - PBG found KJH’s determination and manner of protecting CSH very impressive and cool. The MC used his real name and he corrected her saying he was talking about KJH and not PBG himself otherwise it would sound like he was complimenting himself. he said he didn’t have time to practice for the fanmeeting since they were busy with the drama. - He was talking about the drunk scene, he said he was embarrassed performing﻿ the scene. In personal life he doesn’t like drinking; therefore, he found it difficult and awkward even during the reading rehearsals. However he is thankful to everyone for enjoying﻿the scene. The MC told him that he did a very good job, his performance was very natural and reminiscent of a green grape (very fresh) which made everyone laugh. I thought that it should orchestra rehearsal for marriage events which PR team is preparing, rather than international New Year or Korean New Year because KJH gave the couple ring on February 16 which passed both New Year. KJH&CSH’s relationship in Encounter is from September 2018(Encounter in Cuba)to March 2020(proposed for marriage at the village) if the time jump is only one after reconcilation to marriage proposal. Or did we not catch up some more info? @dukesa1122 I will soon, but it just won’t be the same you know? This drama turned me into a greed monster. A greed monster who is now starving but knows will never be fed again. LOL, what an analogy. Maybe it’s time to slowly move on but how?? PDnim, what did you do to us! How can you cast two stellar actors with explosive chemistry and just give us 16 episodes? Hmm? bogum will promote encounter in all his upcoming Fan Meeting like his previous FM. because of his FM back in 2017, Reply 88 and MDBC rerun in national tv & tvn asia in some asian countries. @stardustvoid @dukesa1122 we could rewatch it and write our thoughts or some of reply drama fan rewatched for 3 , 4 times . they all made a schedule and rewatched it. but only for below drama thread . PBG’s monster drama? Is it good? @dukesa1122 lol yes, that’s my thing. No matter how good a drama is. That’s why it’s so hard for me to get invested in a drama/tv show because I know it’ll end someday and yet here I am. I’m sorry, I didn’t mean to bring down your mood, chingu! Okay. This has become another totally random post. eventhough i do not understand the above tweet, i posted it here as someone said she is famous actress in PH and watching encounter. I’m on Episode 10 of Encounter. Ok I know hye kyo is happily married. But my heart is fluttering so much. The chemistry! Bogummy baby boy is such a cutie. I found him cute in love in the moonlight. But he’s different here. So charming. Had to google his age. He really is a baby boy at 25. Sooo cute! Yes. She is one of the most famous actresses in PH. She also started young as an actress.